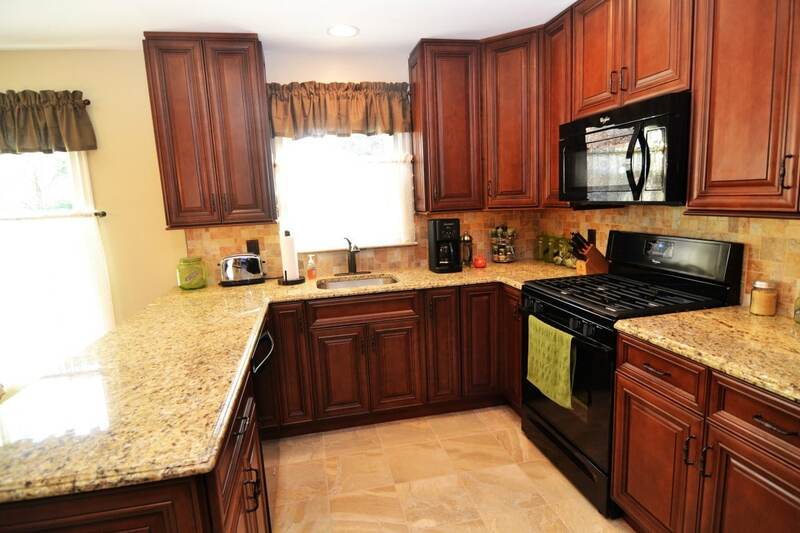 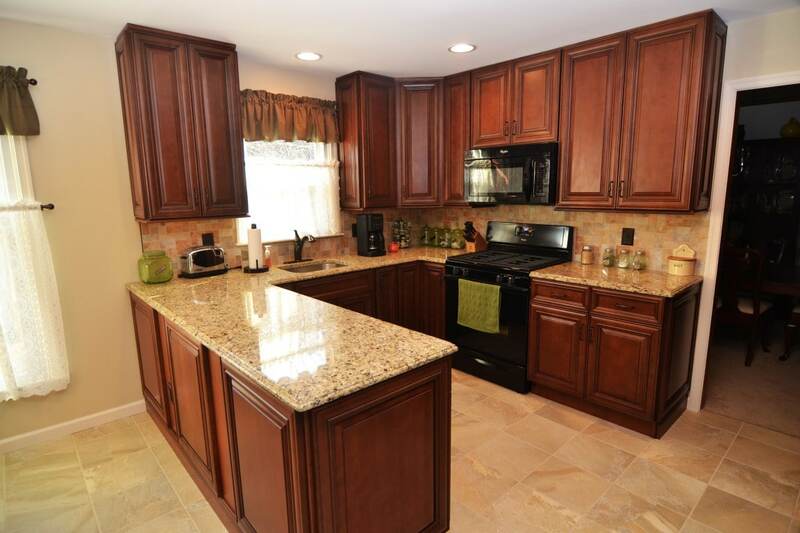 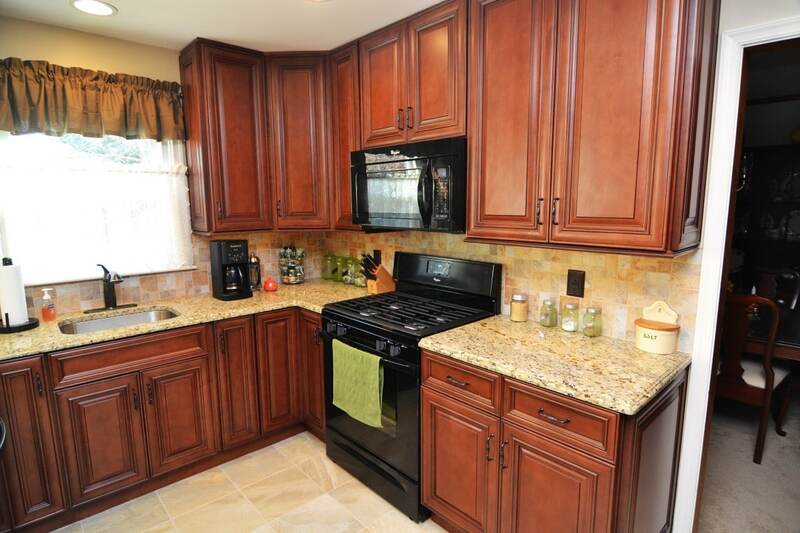 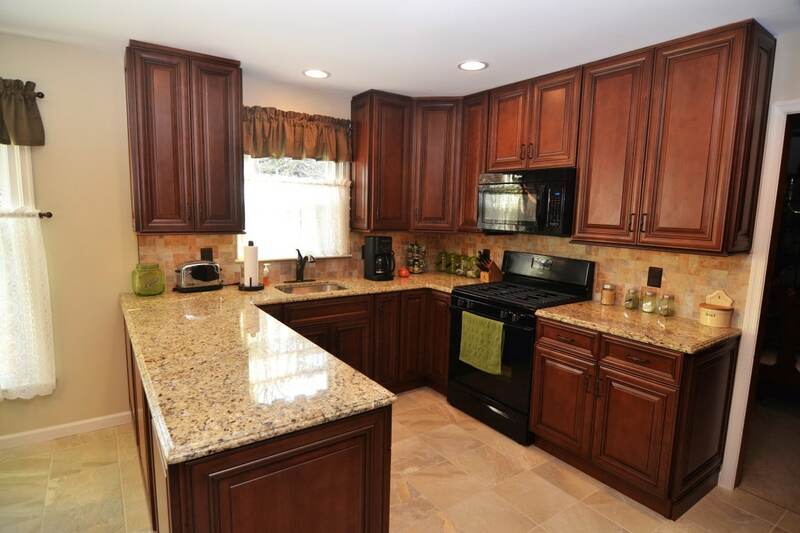 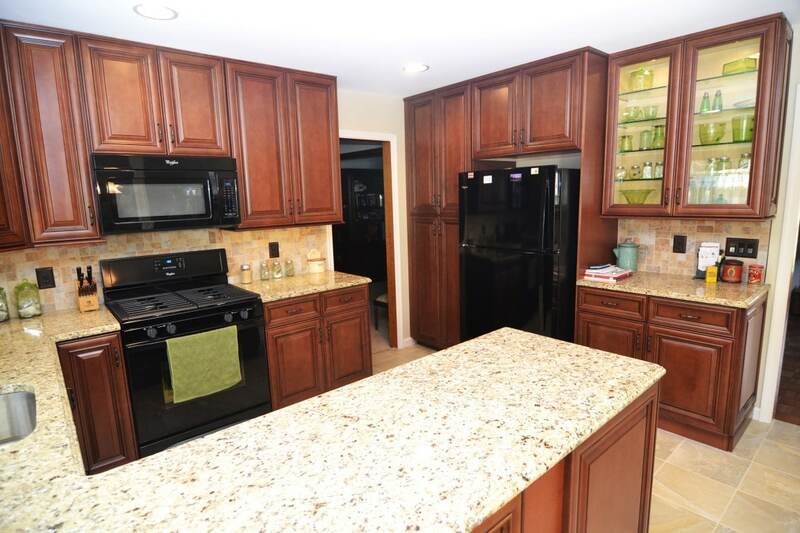 Worcester Kitchen - Volpe Enterprises, Inc.
A standard U-Shape kitchen brought up do date with newly tiled floors, a back splash, counter tops and cabinets. 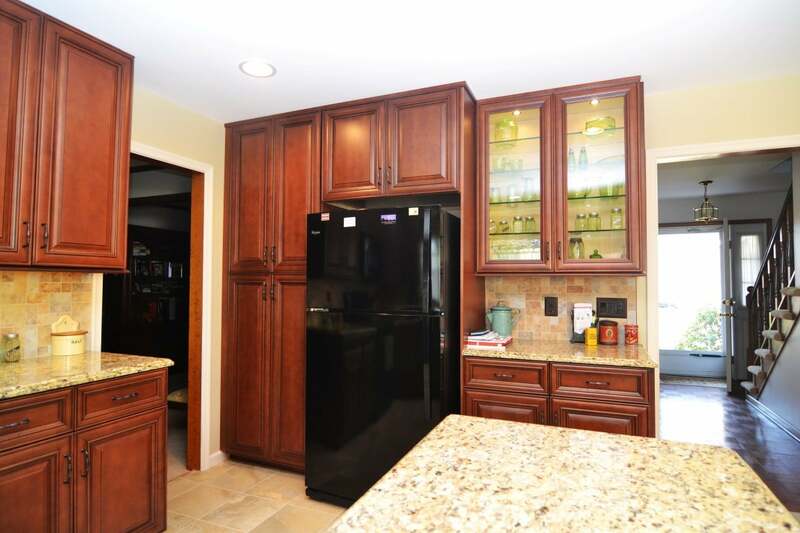 Custom glass were inserted in a few of the doors to display items as well as ample cabinet lighting to give that finishing touch. 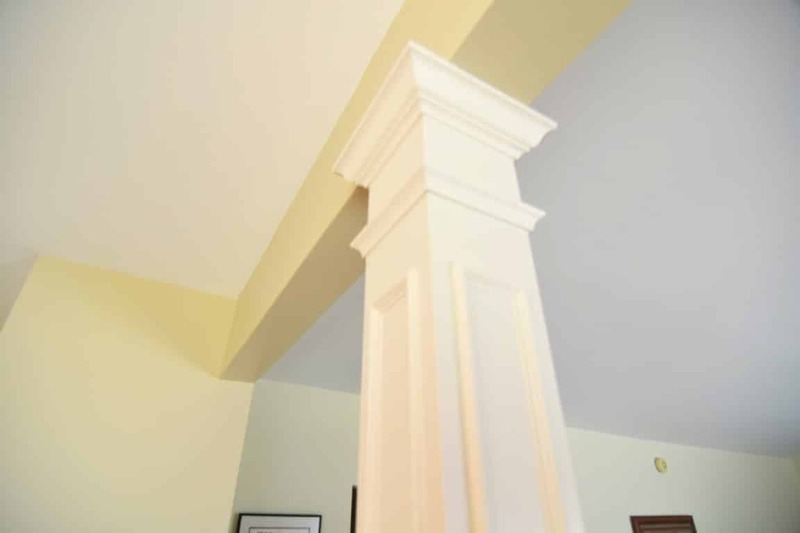 Custom fluted column was also constructed to update the transition to the living area.